Does Italy Threaten a New European Debt Crisis? Italy’s populist government has relished defying the European Union, and its latest showdown with Brussels could threaten the continent’s fragile recovery—and the global economy. Italy’s expansionary budget plans are drawing the ire of the European Union (EU). A confrontation could destabilize the Italian economy, one of the EU’s largest, and potentially plunge Europe back into crisis. EU members are supposed to follow the bloc’s budget rules limiting government debt and deficits. But Italy’s new proposals for 2019 ignore previous commitments to reduce both of these, in favor of expanding welfare and cutting taxes. 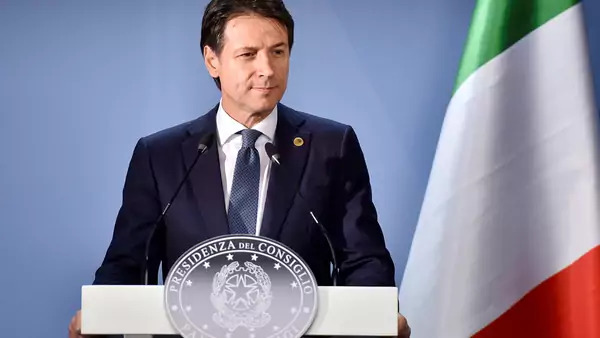 Italy’s leaders have been on a collision course with the EU since taking power earlier in 2018. They say the bloc’s technocratic rules have caused economic malaise and blame EU-imposed austerity for the country’s double-dip recession after the 2008 financial crisis. Since then, Italy’s growth has trudged along at under 1 percent, behind most other European economies, and its youth unemployment still tops 30 percent, exceeded only by Greece and Spain. Rome wants more spending, which it says will boost growth, productivity, and employment and, in turn, make servicing the debt easier in the years ahead. Meanwhile, the government’s borrowing costs are rising. Government bond yields—a measure of how much the government pays to issue debt—have nearly doubled since May to their highest level in four years. This means investors see Italy as an increasingly risky bet. Why does this matter outside Italy? Systemic financial risk in the EU. At more than $2.6 trillion, Italy has the world’s fourth-largest total debt load. At roughly 131 percent of gross domestic product (GDP), it’s more than twice what EU rules allow. If investors get spooked and bond yields spike, as happened to crisis-ridden European economies in 2010–2012, Italy’s debt payments could spiral out of control. That could mean an Italian default, which would hit banks across Europe that hold Italian sovereign bonds. Italian banks, still weak from the last crisis, hold a lot of these bonds. If they continue to lose value, banks could fail, lending could dry up, and economic growth could plummet again—the so-called banking doom loop. And if Italy takes the unprecedented step of leaving the euro currency and returning to the lira, it would cause massive losses to investors across the continent, potentially triggering another financial crisis. If the eurozone is threatened, Italy would be too big to rescue. In 2012, the European Central Bank (ECB) stepped in with a dramatic promise to do “whatever it takes” to prevent contagion. The EU and the International Monetary Fund bailed out Greece, Ireland, Portugal, and Cyprus. The largest bailout package, to Greece, topped $300 billion. But with a GDP of nearly $2 trillion, Italy is the bloc’s third-largest economy—there simply aren’t enough funds to bail it out. There are also concerns that the ECB used up all its firepower fighting the last crisis and has few tools left to make cheap credit available or buy up troubled bonds. The EU has several weeks to approve or reject the budget—the latter is a step it has never taken. Brussels could eventually impose fines and other sanctions if Rome refuses to change course. Eyes are now on how markets will react. Bond yields have not yet approached the levels they did in 2012, when the ECB hit the panic button. But Italy’s growing fiscal imbalances may soon lead ratings agencies to downgrade its creditworthiness, which could push yields up further and make debt payments still more expensive. The Italian government insists that these concerns are overblown and defends its right to make its own decisions. But with Euroskeptics across Europe ramping up efforts for next year’s European Parliament elections, Rome may be itching for a fight with Brussels—a showdown with unpredictable economic consequences.